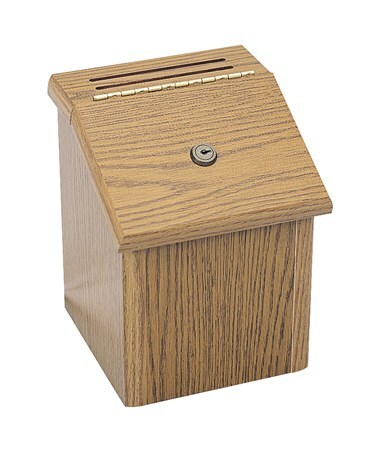 The Safco Wood Locking Suggestion Box is a tough and secure collection box with a stylish look. It can be mounted on a wall or displayed on a flat surface. It has two drop slots that are 5 inches wide and ¼ inches deep. On top is also the locking compartment door which can be accessed by the two available keys. 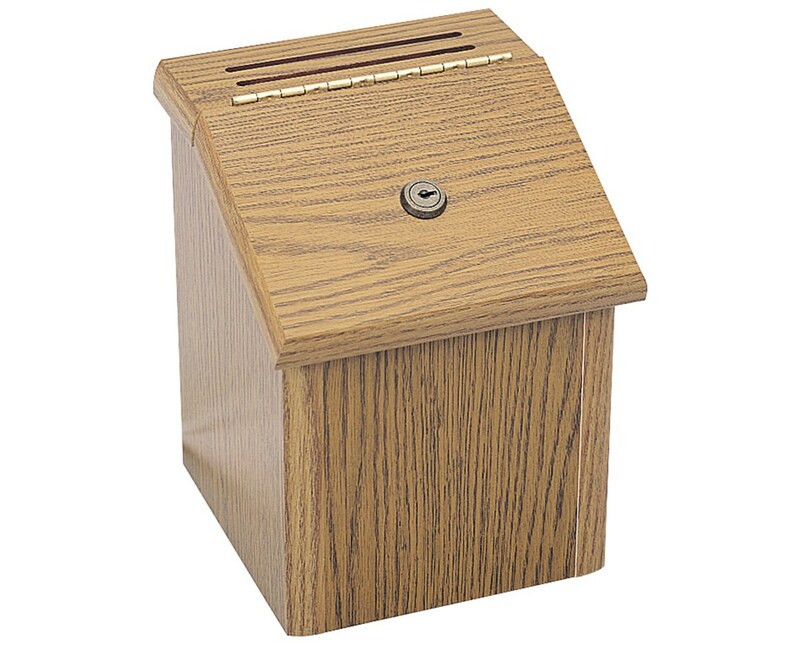 This drop box is made of furniture-grade particleboard with a medium oak finish. Also included with the box are 25 suggestion cards, a template, and mounting hardware.